Nearly nine in 10 grocery products now bear clearer labels for use-by dates, and consumers are finding them easier to understand, according to the Grocery Manufacturers Association (GMA). An industrywide initiative launched in February 2017 aimed to erase consumer confusion over product expiration dates by streamlining the various types of labels and simplifying their language. The effort reduced date labels to two: Best If Used By and Use By. Since then, 87% of grocery products (32,093 as of this month) have adopted the new labels, GMA said in its “Best If Clearly Labeled” report released Tuesday. The association projects that 98% of products will bear the simplified labeling by the end of 2019, and all products will carry the labels — in tandem with the Food and Drug Administration’s new Nutrition Facts panel — by January 2020. 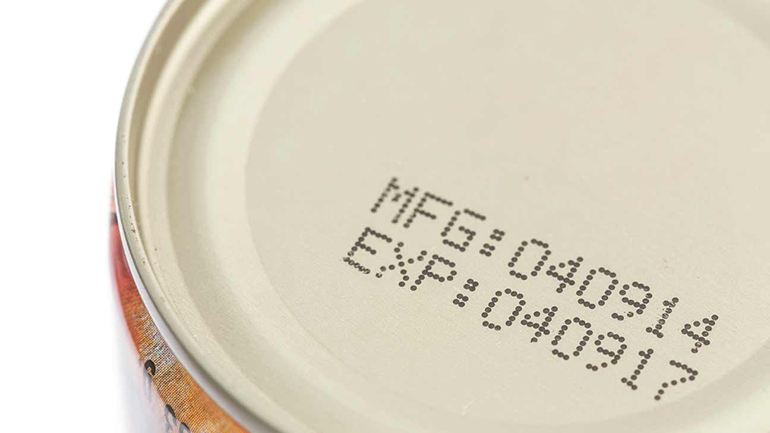 GMA and the Food Marketing Institute (FMI) worked with 25 grocery manufacturers and retailers to cut down the number of product date labels and standardize their wording. They boiled down more than 10 date-label categories to two — Best If Used By and Use By, which were in line with a December 2016 recommendation from the USDA Food Safety and Inspection Service. “Best If Used By” means that, after the date indicated on the label, the product may not taste or perform as expected but can still be used or consumed, the GMA report said. 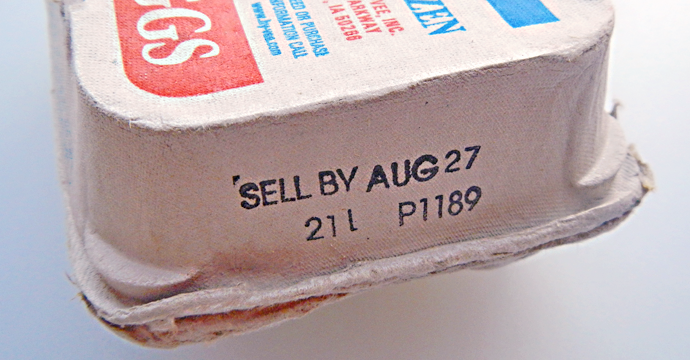 Applying to perishables, the “Use By” designation means the product should be consumed by the date on the package and discarded after that date. In a survey of 1,002 U.S. adults this month, GMA found that 88% think the Best If Used By and Use By definitions are clear. Another 85% of these consumers said that the use of just those two labels would be helpful. Benefits of simpler labeling cited by consumers included feeling safer about the foods they eat, throwing away less food, saving money by discarding less food and greater confidence in the products they use. The GMA report noted that the adage of “when in doubt, throw it out” is causing tremendous food waste — in part due to unclear date labeling. Though 24% of consumers use the “sniff test” and 30% go by food appearance (30%) to decide whether to throw food away, 44% do so according to the date on the label. A July 2017 GMA and Food Policy Action study revealed that 60% of Americans said they had discussions in their households about how to interpret the meaning of grocery date labels, and another 40% acknowledged having disagreements about whether to throw a product away. Similarly, a report by the Harvard Law School Food Policy Clinic and the Natural Resources Defense Council found that over 90% of Americans may discard food too early because they misunderstand date labels. About 133 billion pounds of food — almost a third of the available food supply — is wasted in the United States each year, according to USDA estimates cited in the GMA report. That equates to more than $161 billion of food wasted. “Date labeling is a step toward meaningful food waste reduction that makes it easier for Americans to shop smarter and throw away less,” Freeman stated. GMA added that, to spur adoption of the simplified date labels and reduce food waste, it’s enlisting social media (using hashtag #10ItemsLess) to get each U.S. household to discard 10 fewer food products in 2019. The association said this would cut food waste (at an average item weight of 8 ounces) by 638 million pounds. Earlier this month, GMA and FMI said they’re making strides in another labeling initiative, this time to promote product transparency. The associations reported that the digital SmartLabel, which provides fast, immediate access to detailed product information, is now being used by 826 brands on more than 36,000 food, beverage, personal care, household and pet care items. Besides ingredients and nutritional facts, SmartLabel includes information on allergens, third-party certifications, social compliance programs, company/brand, advisories, and usage and safe handling instructions.